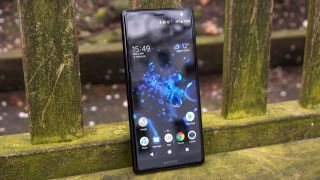 Some users of the Sony Xperia XZ2 and Sony Xperia XZ1 ranges have reported an issue with the screen where if they repeatedly rub or touch it, visible lines or dots might appear temporarily, but according to Sony this is due to a characteristic of the display. So in other words, the issue is apparently caused by a build-up of static electricity, and if it’s an issue that you’re having there’s seemingly nothing you can do about it – other than changing phone, or perhaps moving somewhere with a different climate, where static electricity is less likely to be generated. It’s unclear how widespread the problem is, but at least it seems that your phone isn’t damaged and, as Sony says, the stripe patterns should fade. But if you’d rather have a phone where this isn’t a ‘characteristic’ there are plenty to choose from on our best phones list.